DVD & Blu-Ray is always the popular video storage ways, the huge capacity and stable video quality make them live to now, but they also have some flaws: Their packing will occupy more space which are compared to some other videos files stored in other portable devices. Except the packing flaw, the protection of DVD & Blu-Ray is strict, sometimes, we often can’t know why the devices can’t play the new DVD & Blu-Ray, all the reasons are the DVD & Blu-Ray protaction. We find these little flaws, we must want to know the solutions, best way to solv ethe problem is to rip and compress DVD & Blu-Ray, if we can store them with another format to any devices we want to store, it’s better. All the ideas are possible, you just need a powerful software to be your assistant.What are the popular rip and compress DVD & Blu-Ray softwares in 2017? Here will give you the answer. Free Video DVD Converter Ultimate is an absolutely free and easy to use video converter. It assists you to convert to tons of video & audio formats free and easy, making them compatible with all devices with great quality. It also provides in-program editing functions like trimming, cropping, rotating, merging, adding subtitles and watermarks, etc. Another way, it can batch convert from DVD disc, DVD folder, DVD IFO/ISO to MOV, M4V, AVI, WMV, etc. Pavtube Free DVDAid offers every user the opportunity to rip, encode and edit DVD to almost any video and audio format freely. The interface is simple, easy, fast. and you can master it quickly. You can load DVD disc, DVD VIDEO_TS folder, and DVD IFO/ISO into the software. It can rip any DVD fiels without any copy protection. How much of it? It’s very free, without extra payment. 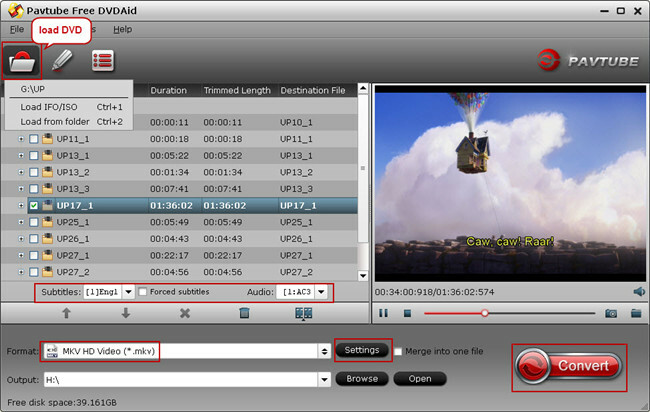 Free DVDAid is considered to be a easily handled video editing tool with the ability of trimming, cropping, splitting, merging, adding subtitle file, etc. Handbrake is a tool which can support most common multimedia files and any DVD or Blu-ray sources, it can convert video from nearly any format to a selection of modern, widely supported codecs. Get started with HandBrake in seconds by choosing a profile optimised for your device, or choose a universal profile for standard or high quality conversions. You can convert video from nearly any formats, it can support widely codecs. VidCoder is a powerful command-line media converter. Open-source DVD/Blu-ray ripping and video transcoding application is helpful for you. QWinFF provides an intuitive graphical interface and a rich set of presets to help you use ffmpeg easily without having to type a single command. 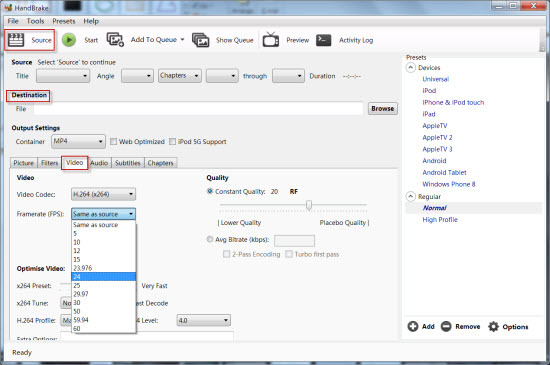 Advanced users can also adjust conversion parameters like bitrate and sample rate in detail. Avidemux is a free video editor designed for simple cutting, filtering and encoding. It’s very flexible, supporting AVI, DVD compatible MPEG files, MP4 and ASF files using a variety of codecs. It is completely open source and works across platforms, so it’s ideal for people who are working on both Macs and PCs. Avidemux is a handy tool for anyone that wants to perform basic editing for free and doesn’t want to have to convert to another format first. QWinFF is a GUI for FFmpeg, a powerful command-line media converter.You can view input file information (codec, bitrate, framerate, etc.). adjust video/audio quality, speed. QWinFF can support 4 kinds of subtitles: VobSub, Closed Captions CEA-608, SSA, SRT. About above informantion, everyone’s need is different. You can refer to the following comparision among them. Wharever software you choose, it must can help you to solve the problems you meet about the DVD & Blu-Ray.